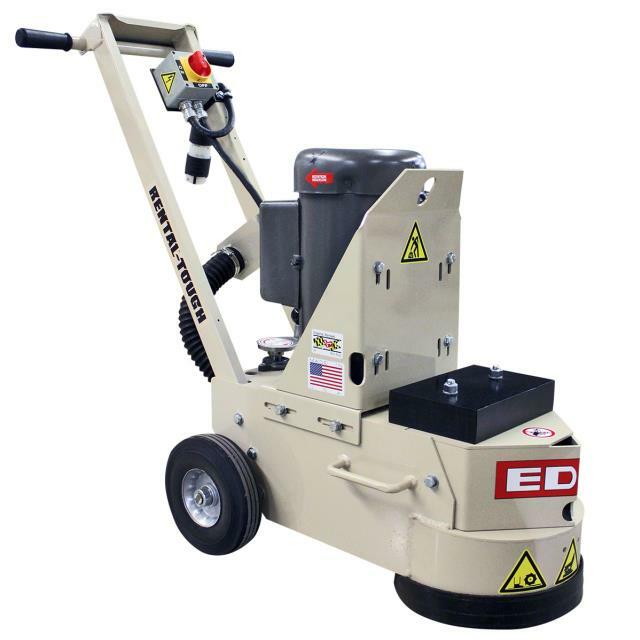 10" Single Head Electric Concrete Grinder. 1.5 hp. Electric motor used 120 V. and draws 17.2 Amps. Using with water improves performance, although this grinder can be used wither wet or dry. 50' of 10 ga. extension cord is furnished. 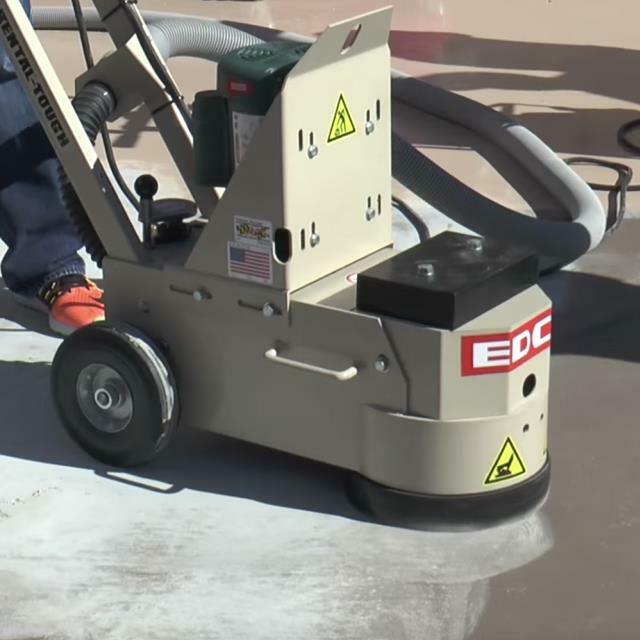 Ideal for: Grinding Concrete, repairing damaged concrete slabs, removing urethanes or epoxy thin-coats, leveling high spots or surface imperfections, smoothing rough concrete surfaces like rain marks, trowel marks, removing mastics, thin-sets, paint build-up, resins and more. The correct accessory for your grinding application are additionally priced. 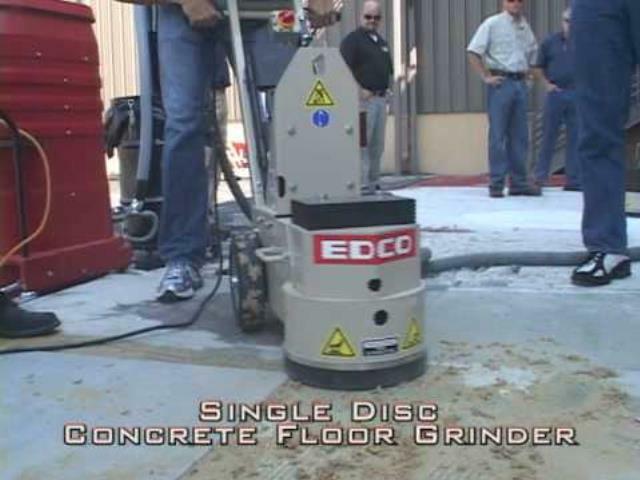 * Please call us with any questions about our conc grinder 10 inch edco rentals in Oak Grove MO, Blue Springs MO, Independence MO, Lexington MO, Odessa MO, Independence MO and Western Missouri.